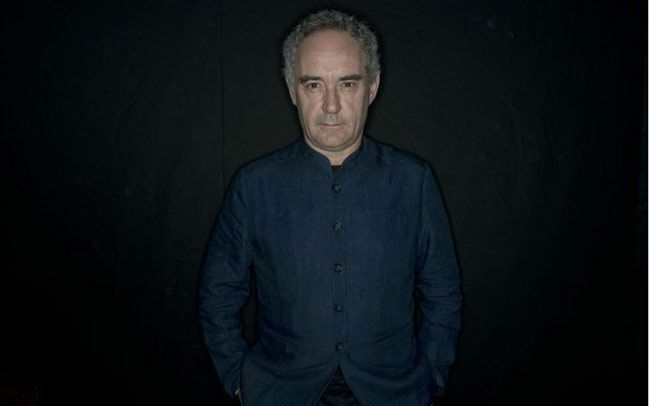 Relaxnews) - Ferran Adria, chef of one of the most exclusive -- and now shuttered-- dining destinations in the world, is teaming up with one of the top chefs in London to resurrect his restaurant elBulli for diners with £895 to spare. Ferran Adria, chef of one of the most exclusive -- and now shuttered-- dining destinations in the world, is teaming up with one of the top chefs in London to resurrect his restaurant elBulli for diners with £895 to spare. London chef Jason Atherton will be hosting Adria at his restaurant City Social, for a champagne-soaked, multi-course dinner inspired by the menu at elBulli, which shuttered in 2011 at the height of its popularity. Part of the £895 ($1,400 USD) price tag buys guests a signed copy of "elBulli 2005 - 2011," a seven-volume compendium of the 750 recipes served at the triple Michelin-starred restaurant. The books retail for £425 ($625 USD). The dinner is being hosted in collaboration with luxury travel magazine How to Spend It, which marks its 20th anniversary. The magazine is a supplement of the Financial Times. The dinner will be held January 20, 2015.